What type of laser surgery does Dr. Dickson perform at Creekstone Dental? Can I get it anywhere? 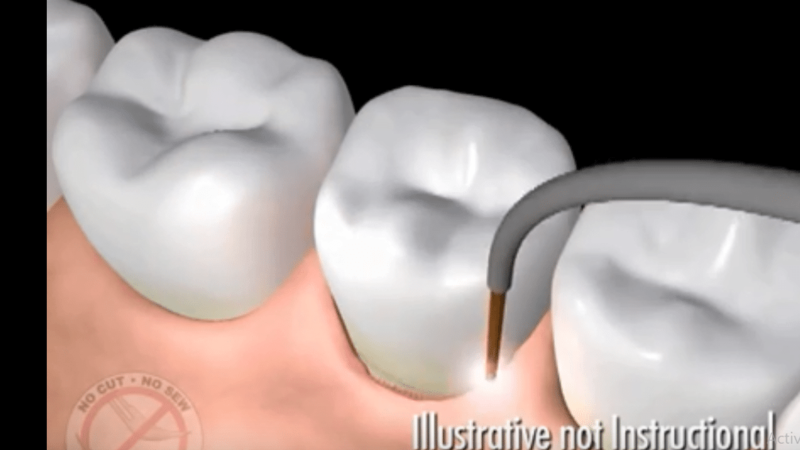 Here is a short video summary of the procedure. It called LANAP, and it is the first and only FDA approved treatment for gum disease. You need to have a special laser for it [the Nd:Yag free running laser]. We love that our patients have been getting such excellent results, and also we’ve been getting some questions about the procedure. Here is the cartoon version. Recovery from the procedure is typically very easy, with little or no pain. Yeah. To our knowledge, we are one of three providers in Salt Lake, and one of five in Utah–[it’s because the laser is just stupid expensive].